Success upon success the previous week on home soil in Daejeon, an unprecedented three titles to his name; three days after completing the feat, for the Korea Republic’s Jang Woojin, it was defeat. He was beaten in his concluding group stage Men’s Singles contest in the qualification tournament for places in the Seamaster 2018 ITTF World Tour Platinum Australian Open; he experienced defeat by the very narrowest of margins at the hands of China’s Yu Ziyang (8-11, 13-11, 12-10, 6-11, 13-11, 8-11, 11-9). The reverse meant the end of the road for Jang Woojin; Yu Ziyang having the previous day beaten Cho Daeseong, also from Korea Republic (7-11, 9-11, 11-5, 11-5, 11-7, 9-11, 11-7) thus concluded the group unbeaten and in top spot, first place the only option in order to progress to the main draw. The vagaries of sport, just as last week, after several fine performances earlier this year, the win in Daejeon was arguably a success waiting to happen for Jang Woojin. Is that not the same for Yu Ziyang but have we not been waiting longer and having our doubts? Are we not waiting for him to deliver a performance that stirs the imagination? In 2014 he was crowned World Junior champion, having earlier in the year won the Men’s Singles title on the ITTF World Tour in Japan. On that occasion, he beat the host nation’s Jun Mizutani in the final; at the time he was the youngest such winner. 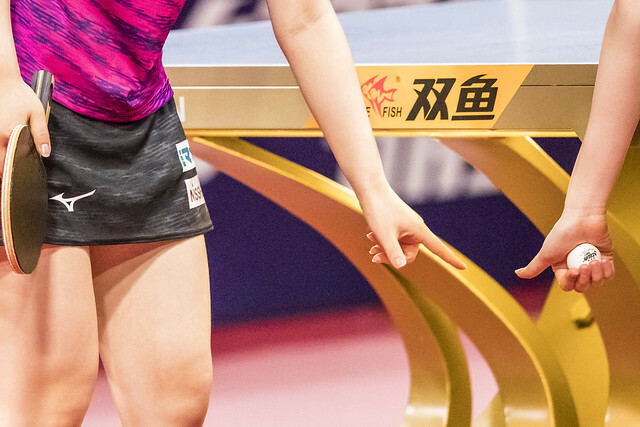 Success for Yu Ziyang and one wonders could that be a result that be the result to spark greater things?